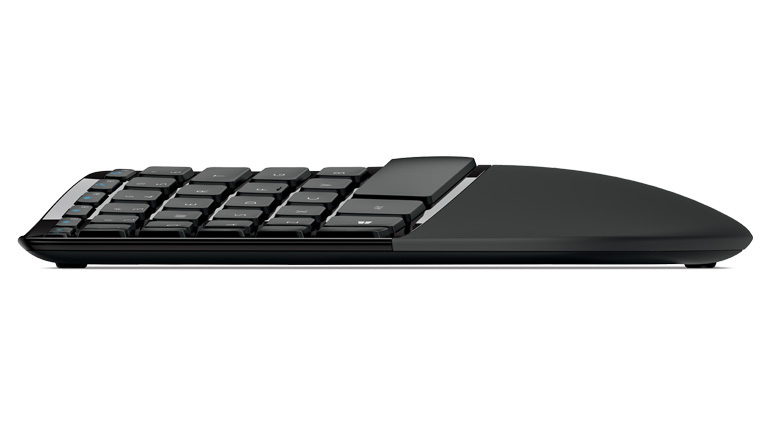 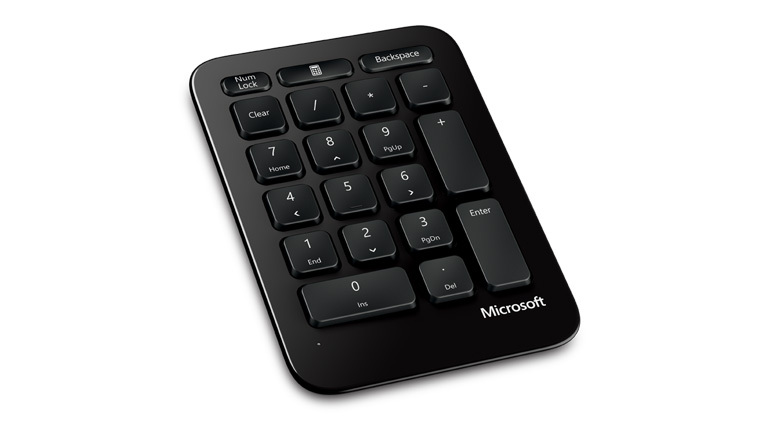 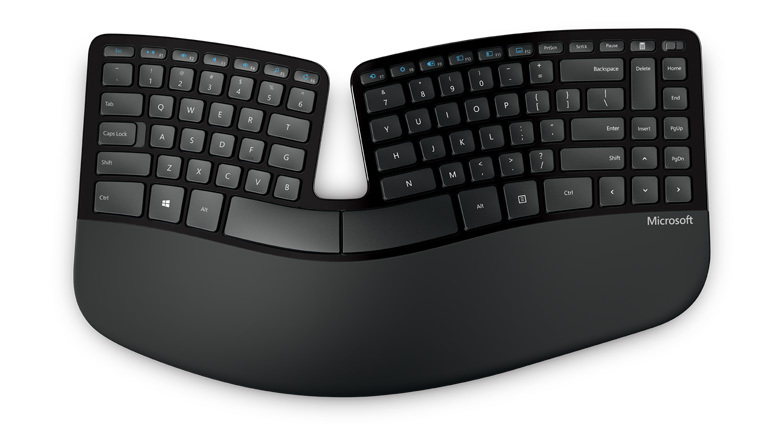 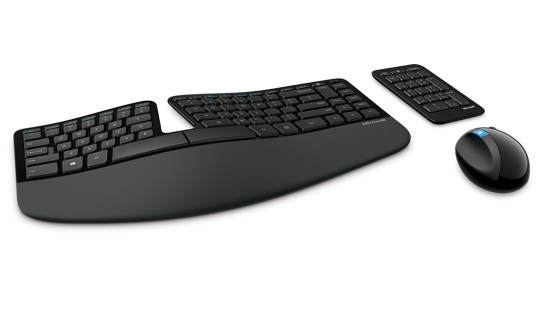 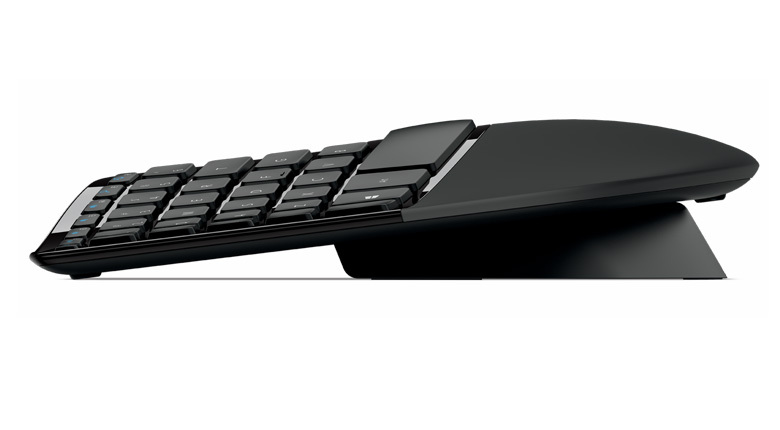 The Sculpt Ergonomic Desktop by Microsoft includes a keyboard, a discrete numeric keypad, and a mouse. 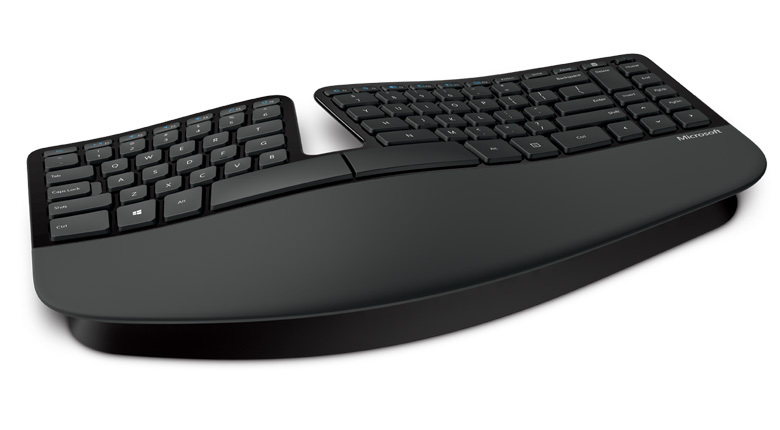 Keyboard: A fixed-split, domed keyboard helps to reduce ulnar flexion (deviation). 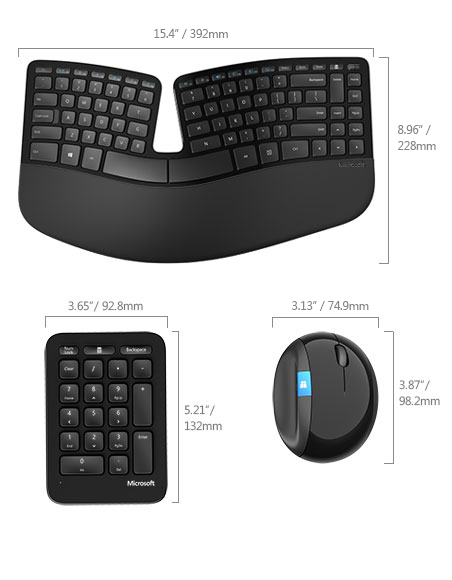 It includes a cushioned palm rest and a split keyset design.